Across the world, banks are investing heavily in back-office digital technologies mainly for the purpose of reducing front-end costs and increasing revenues. Since the banks that have already adopted a digital retail banking model reported higher profit margins than those focusing on front-end operations, the digital transformation of retail banking is expected to catch up with and possibly overtake other “smart” industry sectors. But is the digitisation of retail banking as good as it sounds? From a phonetic viewpoint, the term “digitisation” may not sound that great. However, the concept behind it is really impressive. 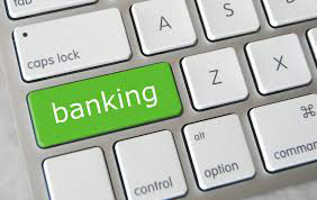 The digitisation of retail banking is not only about the personalised services clients get based on their preferences and the flexibility to make instant online payments – it’s not even about reducing the number of high-street branches, which will result in lower fees for the consumer – it’s also about offering convenience with a human touch to create a “wow” customer experience. Retail banks are expected to provide more valued product and service offerings along with a growing number of platforms and channels that can support digital delivery. All these will allow banks to deliver value-added services, with a positive impact on the prospect-to-customer conversion rate, the number of Internet banking transactions, and bank profitability. The magnitude of the digital revolution in the retail banking sector becomes clearer when comparing the profile of the retail bank of today with the profile of the retail bank of tomorrow. Over the past three years, the number of people going into brick-and-mortar bank offices has fallen by 30 percent. Additionally, the number of digital transactions increased from £5.8 billion in 2013 to £6.4 billion in 2014. New applications and products, such as cheque imaging and contactless cards, will further reduce the need to go into a bank, increasing the number of online transactions. To meet a series of requirements, ranging from more intuitive interfaces, around-the-clock availability, personalised customer service across multiple channels, and global consistency to real-time fulfilment and zero errors, banks must reconfigure their service roadmaps, online branches, and call centres. Without a well-planned digitisation strategy in place and decisive action, UK banks will be stuck with an expensive, obsolete infrastructure that will cause them to miss out on one of the greatest opportunities for growth. Though significant investments in back-end digital components are currently required, the high costs will be offset by savings on legacy systems. To get started on the right track, banks should consider what their clients want. If the top management teams won’t be able to transform the retail banking model to meet customer expectations, non-banking players are ready to take their place. In fact, PayPal and Apple already provide advanced digital financial services (e.g. Apple Pay and PayPal’s Electronic payment services) that appeal to people who want the flexibility and convenience to complete transactions securely from anywhere, at any time. As more banks embark on the digital transformation journey, professionals with specialist skills in certain areas, such as IT, Telecoms, and Broadcast, are in high demand. Since the digitisation of retail banking often implies old wisdom combined with new skills, hiring the right people is critically important. But that is easier said than done, considering that the demand for experts capable of harnessing the true power of digitisation far exceeds the supply. One way a bank can find qualified professionals is to approach recruitment specialists in IT, Telecoms, and Broadcast. At Brightred Resourcing, we believe in a dual approach to serving clients and candidates. As a result, we are committed not only to finding the best candidates for our clients but also to guiding candidates through the recruitment process. To find out more about our agency and services, we invite you to contact our friendly sales team at 0844 335 2228 or email sales@brightred.com. Want to be an Apprentice? You’re hired! What does Brexit mean for UK recruitment? How effective are psychometric tests? Digital transformation: how should we approach it? Humans versus robots – are we still needed? Brightred Resourcing Limited is a company registered in England and Wales with Company Reg No: 5067134 and our VAT Reg No: 863 8716 84.